This week’s minorities in cartoons entry is “Barbie: Life in the Dreamhouse,” a series of web animated videos that debuted in 2012. 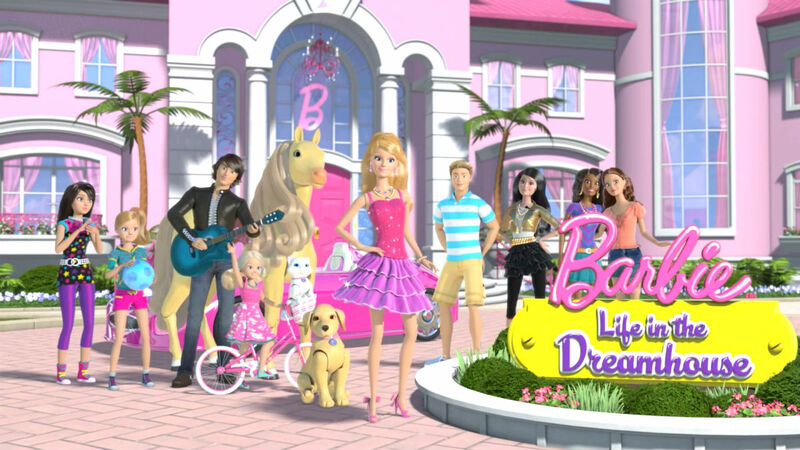 The series revolves around Barbie’s adventures at her glamorous Dreamhouse in Malibu. The characters all resemble dolls; some gags revolve around such, akin to Barbie and Ken in “Toy Story 3.” The traditional Barbie cast is included in the series, as well as some newer characters. Barbie’s younger sisters, Skipper, Staci, and Chelsea. They live with Barbie. Ken, Barbie’s boyfriend. In this series, he’s a bumbling but well-meaning inventor. Ken’s also behind many of the high-tech gadgets in the Dreamhouse. Raquelle and Ryan, rivals of Barbie and Ken respectively. Similar to Archie Comics’ Cheryl and Jason Blossom, the two are twins who often try to pull shady tricks, but to no avail. Nikki, a video blogger who lives in her own mansion near Barbie’s. Midge, a childhood friend of Barbie. Grace, a new resident of Malibu. The series is set up to resemble a reality show. As such, there’s occasional cutaways to the cast commenting on the episode’s events, as well as their own part in the story. Grace is voiced by Lillian Sofia. This series seems to be her only acting credit to date. Here’s the show’s opening credits. The entire series can be seen on Mattel’s website.